Want to visit our college and learn more about our programs and facilities? Schedule a tour. 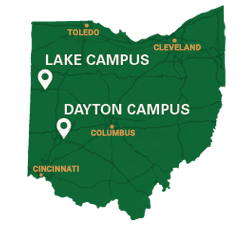 Current Wright State student: looking for information? Contact your advisor. Mark Rich and Andrew Voss have received a five-year grant from the National Institute of Arthritis and Musculoskeletal and Skin Diseases with additional funding from the Muscular Dystrophy Association.